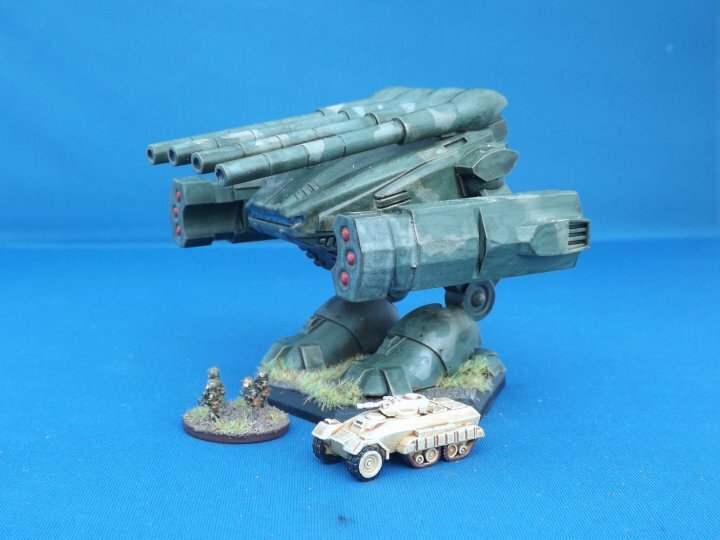 As an added bonus for Crisis on Saturday, I should have some small stocks of this beast – the brand new Neo-Soviet Ulyanovsk class super carrier. 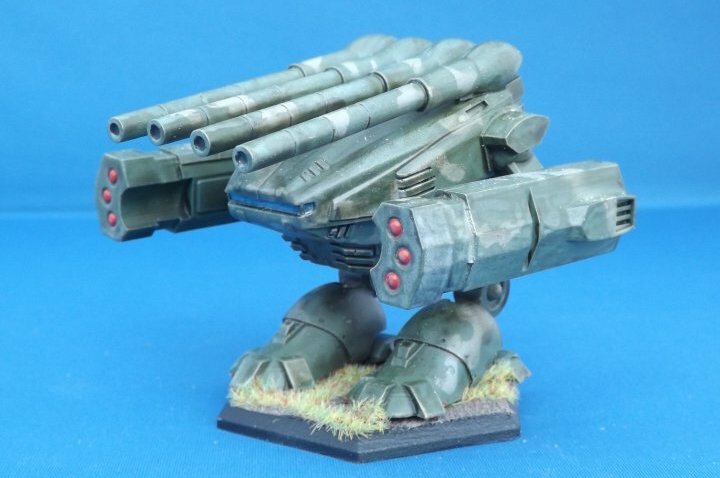 It now has the distinction of being the largest spaceship model in our range at over 110 mm long. It’s due for website release next weekend but I have enough advance stocks to allow me to bring a few along to the show – but it’s strictly first-come, first-served. We have another new and upcoming model for preview today – it’s number one a new series of ‘Great Wargames Venues of the UK and Europe’ (which may well end up being a series of one model…). This is Waagnatie – Hangar 29, the venue for The Tin Soldiers of Antwerps’ Crisis show since it moved from the previous venue a few years ago. The Hangar is a former warehouse on the Scheldt in Antwerp’s dock area which has been turned into an event venue. It seemed like a great idea when I started, then I had a good look at satellite images and photos of the venue and realised that it’s a lot bigger than I first thought ! The building is 240m long give or take, with 13 curved roof segments. To make matters even more fun, the building has a distinct kink in the middle where it follows the curve of the river bank. However, having started I had to finish it, so here’s the final model. It’ll be available for sale at Crisis next weekend, although you might have to be quick to our stand – I won’t have enough stock for everyone! The name of the show run by the erstwhile Tin Soldiers of Antwerp is perfect for all sorts of punning headlines; however, this year it’s a little nearer to the mark. 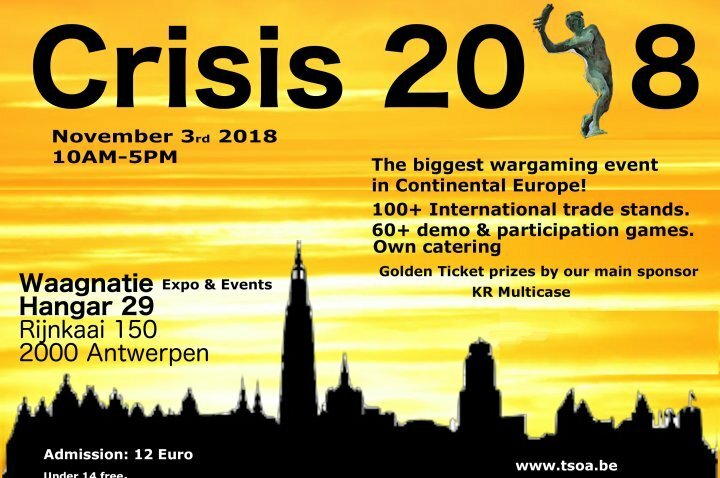 Crisis 2018 is on Saturday, November 3rd, and I will be there as usual in the second hall, in my regular spot by the west wall. As always for any show, we welcome advance orders – in fact they’ve already been coming in. You can either place an order and pay in advance using the collect in person option on the website, or just drop us an email with a list and pay on the day. And if you read on, you’ll see that it’s especially important this year if there’s anything specific you’d like to get from us. I will not be able to bring any 10mm SF buildings, Iron Stars or Land Ironclads miniatures. So if there’s anything that I’m not bringing that you’d like to order, please get in touch and I can arrange to have it with me.